Devron A. Veasley is the Director of the Bessemer Business Incubation System, a business development program that assists service, light manufacturing, technology and wholesale distribution operations during the startup, growth and early maturity phases of their life cycle. Mr. Veasley is responsible for recruitment of incubator business clientele, financial and business/marketing plan development and business training. He also has overall responsibility for the Bessemer Business Incubation System program finances, personnel and system planning. 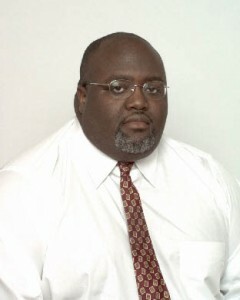 Mr. Veasley has been in business development and counseling for 17 years. Mr. Veasley has also served as Director and lead consultant for the Auburn University Small Business Center as well as an adjunct instructor in the Auburn University College of Business. He developed financing proposal outlines and revenue projection techniques that are used by several small business development centers and business incubators throughout the North America, the U.K. and Europe. Mr. Veasley has provided counseling services for over 1100 clients and has helped acquire loans and other financing in excess of $13,000,000 for many of those clients. Mr. Veasley has provided business research that has led to the successful implementation and maintenance of over 195 businesses. Mr. Veasley has provided training courses at the National Business Incubation Association International conferences in Toronto, Canada, Richmond, Virginia and Atlanta, Georgia. He has also provided training courses for the Alabama Small Business Development Consortium, Birmingham Construction Industry Authority, Opelika and Auburn, Alabama Chambers of Commerce and the Bessemer Department of Human Resources. Mr. Veasley has published articles in the National Business Incubation Association Business Review, Birmingham Business Journal, the Birmingham News, Birmingham Times and various Chamber of Commerce newsletters. Mr. Veasley is a contributing author in the NBIA publication, Put It In Writing: Crafting Policies, Agreements and Contracts for Your Incubator. Mr. Veasley holds various academic, local, state and national appointments. The appointments include: Board of Directors – Business Council of Alabama; Chairman – Alabama Business Incubation Network; Chairman – Auburn University MBA Advisory Board; Chairman – National Business Incubation Association; Board of Directors – Bessemer Alabama Chamber of Commerce (past); Member – Incubator Steering Committee, Appalachian Regional Commission (ARC).